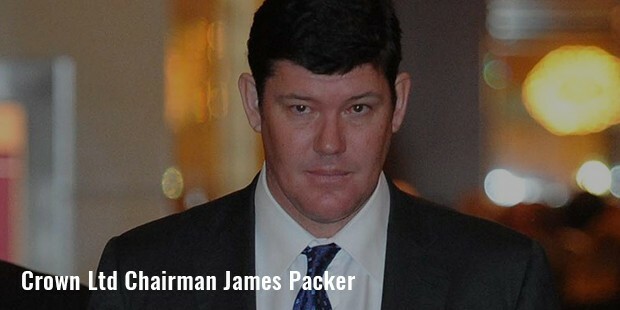 Son of a media magnate, Kerry Packer, James Packer is an Australian businessman, who got control of his family company in inheritance. Consolidated Press Holdings Ltd controls investments in several businesses, including Zhoapin Pty Ltd, RatPac-Dune Entertainment and Crown Resorts. 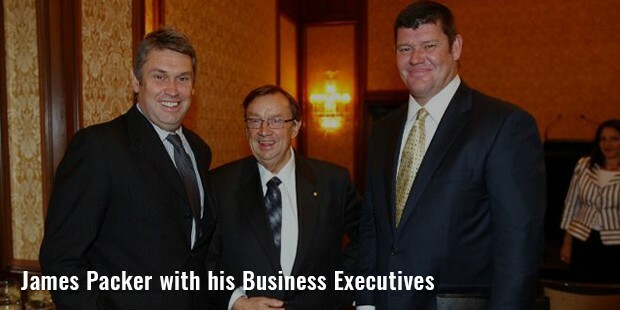 Forbes Asia calculated Packer’s net worth at US $ 4.7 billion, which made him the 4th wealthiest person in Australia. Successor of a powerful Packer empire, James carried forward his family’s business, and has been efficiently managing Consolidated Press Holdings Limited ever since. Packer’s father wanted to train him in his family business, and consequently, James began working at the Newcastle Waters Cattle Station as a trainee just after completing his high school. In addition, he has also built his own dynasty of gambling, and his profits have made him one of the richest men in the world.Today, he is the chairperson of the Crown Ltd., one of the biggest entertainment and resort groups in Australia. 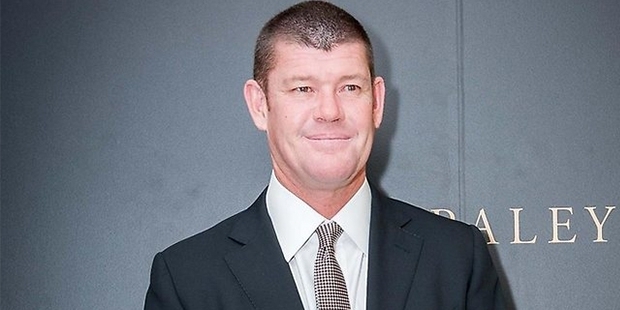 Foreseeing online classified advertisement success, Packer bought 25% stake in SEEK in 2003, an online classifieds site, which he sold out in 2009 for Australian $ 440 million. 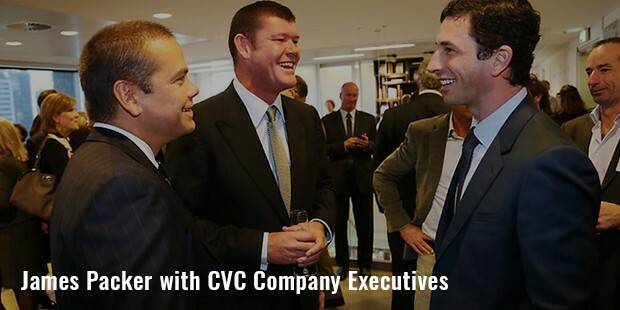 With plans to move into the business of tourism and international gaming, he sold out 50% media assets of Channel 9 and Australian Consolidated Press Magazine to CVC Asia Pacific. By 2012, he handed over 100% of his ownership to CVC. Moving away from his family’s media business, he is keener towards building a gambling empire across the world, named as Crown. The two Australian resorts under Crown, the Crown Perth and Crown Melbourne, feature more than 2300 rooms, gaming areas, VIP villas, resort pools, retail chains, live entertainment venues, convention centers, luxury spas and restaurants, with which resort attracting more than 25 million visits every year. 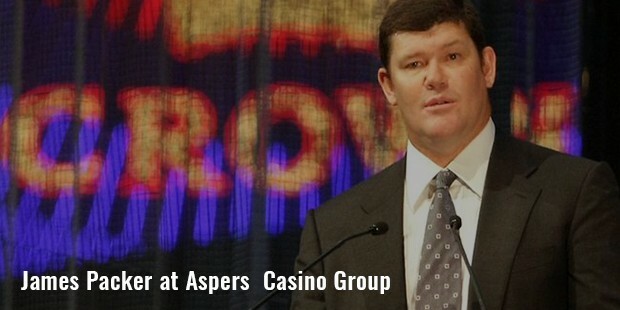 In joint venture with Damian Aspinall, James is now establishing casino complex groups in Great Britain, named as the Aspers. He already has stakes in casinos of Swansea, West End and Newcastle of London. Together with Brett Ratner, the producer and film maker, he formed RatPac Entertainment, which aims at producing films with major studios, including Gravity, a recent space thriller starring George Clooney and Sandra Bullock. In 2014, he signed an agreement with Matthew Tripp, with which he gained control over its BetEasy online betting platform. James Packer remains in news for one reason or the other, whether it his quest to get back in shape, his friendship with Tom Cruise, or his romantic relationship with models Tania Bryer and Jodie Meares. He has love for plush ships and yachts, and owns a collection of high-price pieces, including a luxury cruise ship Arctic P, Mangusta and Ellerston Z.
James Packer is also the owner of a private jet, a 12 seater helicopter, and a number of luxury cars. His wedding with Erica Baxter was one of the most expensive weddings held till date. He is a business tycoon in Australia, and we look forward to more of his contributions in the world’s entertainment industry.